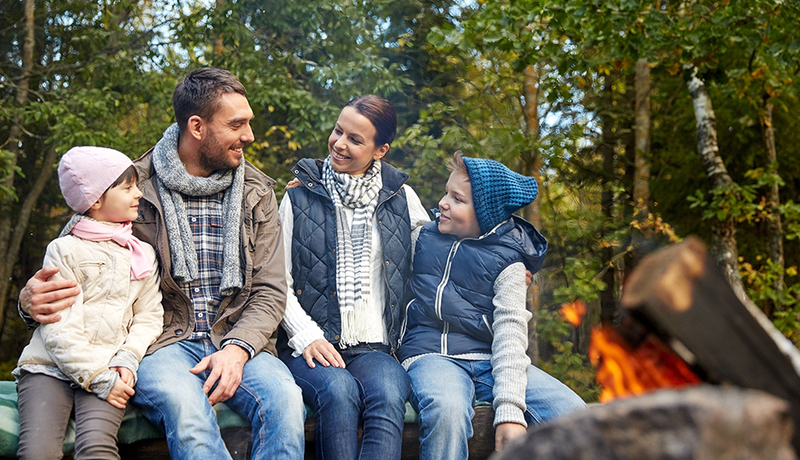 There’s no question that fall is camping season, which means that you and your family are likely to find yourselves roasting marshmallows around a campfire in the next few months. That said, it’s a good time of year to talk to your children about fire safety, especially younger kids who might not understand the potential danger. As the only dedicated pediatric burn facility in the Philadelphia region, the experts at St. Christopher’s Hospital Burn Center for Children have mapped out a few fire safety tips that will keep your little ones cautious and safe. First, adult supervision is recommended at all times. You need to watch your children carefully, and the fire just as closely. Take the right precautions and be sure to always have water near your campfire in case you need to put it out quickly. If you experience a sudden weather change–like a strong wind–it could spread the flames out of the fire circle, which could be potentially harmful. After the fire is out, you still need to keep your eye on it. Some of the most common burns in young children are caused by a campfire’s hot ashes, which can remain dangerously hot up to 24 hours after a fire is extinguished. Watch for white or gray coals, which can hold onto heat for hours and flare up due to the oxygen in wind. To avoid any injuries, make sure to generously douse the coals with water before leaving your campsite or going to sleep. Most campfire burns treated at St. Christopher’s Hospital Burn Center for Children started as trip and falls, so make sure no one is running or playing too close to the fire. Use your judgment when standing your campfire ground — if you’re burning a small fire, you’ll be able to sit closer to it than you would a big bonfire that is a couple feet tall. Additionally, if you’re toasting marshmallows and roasting hotdogs around the fire, make sure you have cooking tools that are long enough to keep you and your kids at a safe distance from the flames. Purchase tools that have insulated handles so that hot metal skewers are no match for you or your dinner. In the event that someone does happen to get hurt, make sure you know what to look for. A first-degree burn can be treated with basic first-aid products, but second and third-degree burns will need more care. Unfortunately, campfire burns tend to be deeper in nature than scald burns. If a burn takes longer than a week to heal or continues to swell, become red or more painful, it may be infected. Any burn injury that is not healed within a week generally warrants evaluation by a burn surgeon in order to determine if surgical intervention is needed. If there is an emergency, St. Christopher’s Burn Center for Children is there for you and your family. For more health and safety tips, visit St. Christopher’s Hospital for Children at stchristophershospital.com.